Hello. My name is Tim. 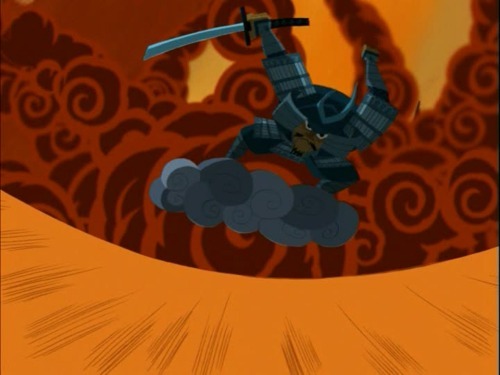 Anyway, one of my favorite shows (animated or otherwise) is Genndy Tartakovsky's Samurai Jack (2001-2004), and for those who aren't familiar with the show, it is about this time-displaced Japanese swordsman who "seeks to return to the past and undo the future that is Aku" after he got flung into a dark and bleak future by the evil shape shifting demon wizard Aku. 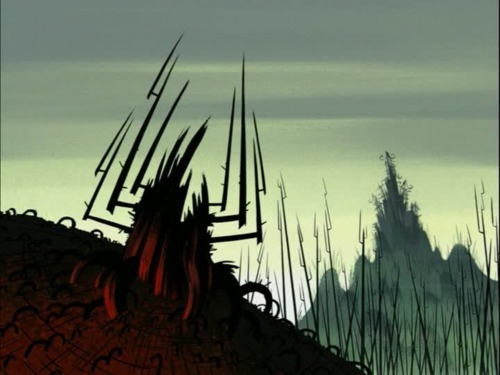 One of, or if not, the best and greatest episode(s) from Samurai Jack is actually a two-part episode concerning the origins of Aku as well as the forging of Samurai Jack’s father’s magic sword, and how Jack’s dad brought about Aku’s 'jail time'. It is not only one of the most amazing animated things you and/or I will ever see on TV in the pre-Games of Thrones era (aka the 2000s), but ten years ago, it is also the winner of the 2003-2004 Primetime Emmy Award for Outstanding Animated Program (for Programming less than One Hour), defeating the likes of The Simpsons (The Way We Weren’t), Futurama (The Sting), South Park (It’s Christmas in Canada) and SpongeBob SquarePants (SpongeBob B.C., aka Ugh) for that award. 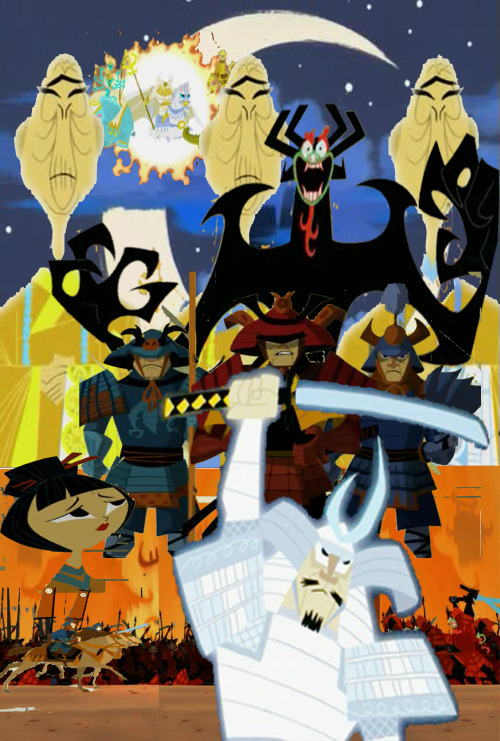 In addition, this year marks the 10-year anniversary of the Emmy Award win for The Birth of Evil, which is the title of the two-part Emmy Award winning Samurai Jack episode from eleven years ago (2003, that is) depicting the origins of Aku as well as the forging of Samurai Jack’s father’s magic sword. 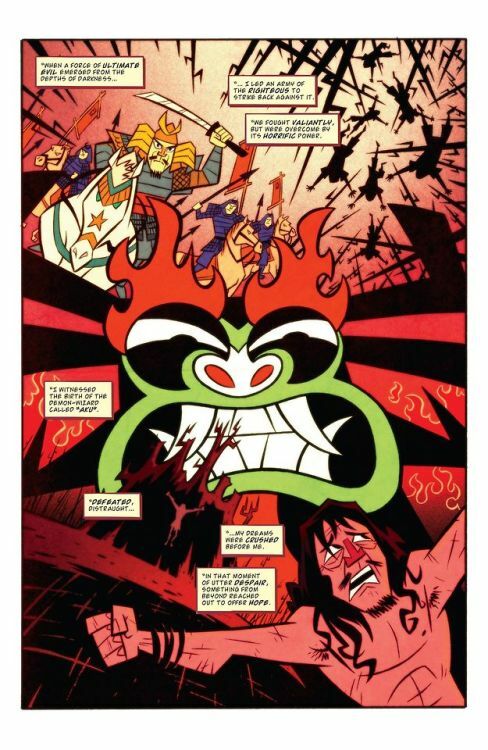 And so, what do you think of the two-part Samurai Jack episode The Birth of Evil? I loved the show. It was often light in story, but the design work and stylized animation more than made up for that. One of my all time favorite shows. Every single episode seemed to have a different look. I wish they would do that movie to finish the story, or else continue with new episodes!! There were rumours of a movie to tie it all up, but sadly it's never happened. Likely never will now, but I'd love to see it. 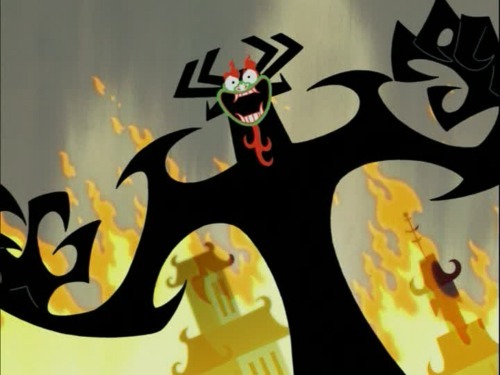 Samurai Jack: The Birth of Evil Parts I and II are going to air at 5:30 AM (if you stay up at that time) on Adult Swim's Toonami block on, October 25/26 and November 01/02, 2014, respectively. YOU ALL HAVE BEEN WARNED! 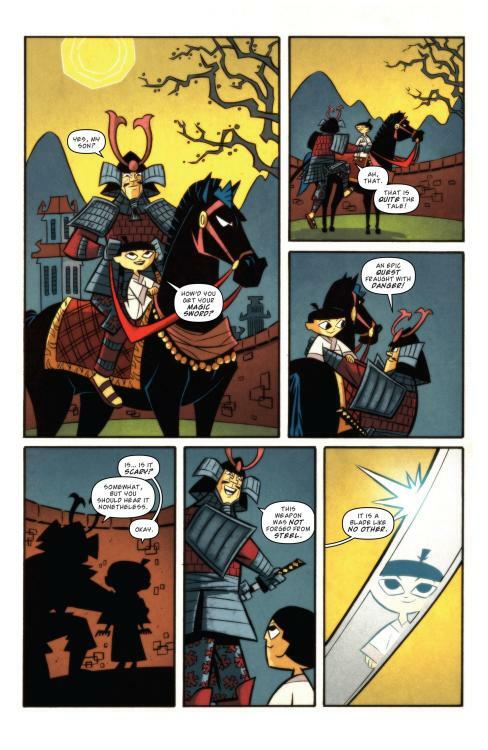 These comic book pages from IDW’s Samurai Jack comic book number 13 really catches my eye, for it shows the Emperor (clad in Japanese Samurai armor) dismounting himself and his young son (called Jack in the future that is Aku) from his black horse before showing off his magic sword to Young Jack while flashing back to the two parts of Birth of Evil (both 2003). 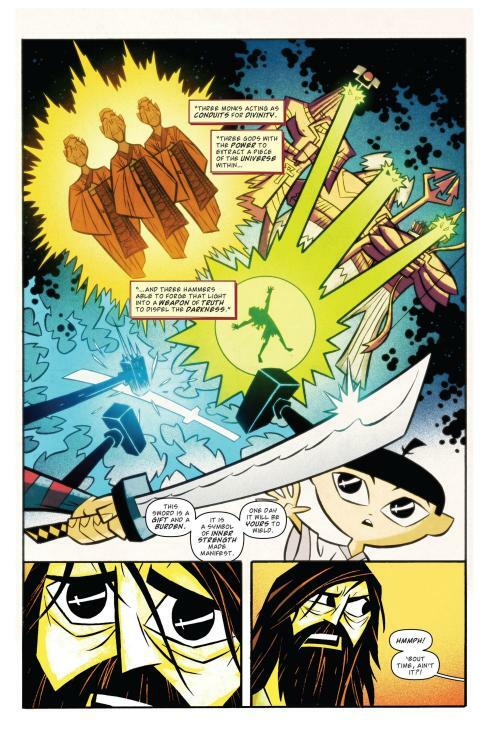 I remember Samurai Jack. I used to love that show being a teenager at the time. I wonder if it's online anywhere? It's all explained in my wealthy affiliate review if you want to read it.